Israeli political and military leaders believe that Russia is ready to discuss a significant distancing of Iranian armed forces and allied Shiite militias from the Israeli-Syrian border, Israeli officials say. The shift in Russia's position has become more apparent since the military collision with Iran in Syria on 10 May and Moscow's concern that further Israeli steps would jeopardize the stability of the regime of Syrian President Bashar Assad. Russia has recently renewed efforts to involve the United States in stabilizing Syria. The Russians may be prepared to remove the Iranians from the Israeli border, although they do not necessarily remove their associated forces from across the country. Last November, Russia and the United States, in coordination with Jordan, signed an agreement to reduce the possibility of tension in southern Syria after the Assad regime defeated rebel groups in the center of the country. 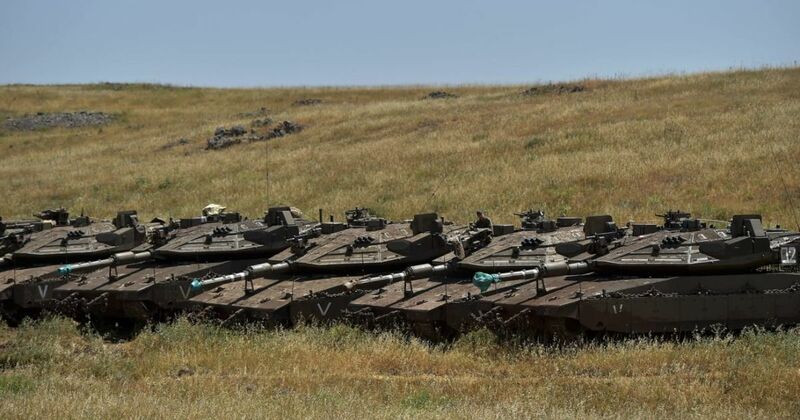 Israel attempted to keep Iranians and Shiite militias at least 60 kilometers from the Israeli border in the Golan Heights, east of Damascus-Daraa Strait (or, according to another version, east of Damascus-Suwayda Strait), about 70 kilometers from the border Border removed). We have more newsletters that you think are interesting. The superpowers, however, did not meet demand; The agreement stipulated that the Iranians and militias would remain about 5 kilometers from the lines of contact between the regime and the rebels, about 5 to 20 kilometers from the Israeli border. But also the Iranians did not comply with this demand. Members of the Revolutionary Guards and militia were regularly seen near the border, while forces associated with the Assad regime even violated the 1974 Separation Agreements with Israel, occasionally invading the demilitarized zone on the Golan Heights. As far as is known, Russia and the United States have not yet resumed direct talks on Syria, but the Russians signal a willingness to rethink their positions. Israel believes that under the new circumstances, after the Israeli air force's many attacks and the Trump's public support for Israel's move, Moscow will agree to relocate Iranians east of the Damascus road to Daraa, which is Israel's original demand. It seems that Assad himself is less fascinated by the Iranian military presence, which leads to tensions with Israel. In February and May, the latest round of tensions between Israel and Iran in Syria, the IAF destroyed a number of Syrian air defense batteries after firing on Israeli fighter jets. According to various estimates, almost half of the regime's air defense system was hampered. According to Israeli intelligence, there are now around 2,000 Iranian officers and advisers, members of the Revolutionary Guards, around 9,000 Shiite militia from Afghanistan, Pakistan and Iraq, as well as around 7,000 Hezbollah militants in Syria. Israel believes Americans are now in a good position to reach a more effective agreement in Syria, in coordination with the Russians, under the slogan "Without Iran and without ISIS". On 17 May, Russian President Vladimir Putin said at the end of a meeting with Assad in Sochi that the progress of talks on the future of Syria must accelerate the withdrawal of all foreign troops from Syria. The next day, Presidential Envoy Alexander Lavrentyev said Putin told the armed forces of Iran, Hezbollah, the United States and Turkey, adding that it was "a very complex matter". The Iranian Foreign Ministry rejected Putin's remarks, saying Iranian troops would remain in Syria as long as the regime needed them and as long as there was a terrorist threat there. On Thursday, Syria reported an airstrike near Homs Airport in the middle of the country, where a Hezbollah military base was hit. Hezbollah leader Hassan Nasrallah said in a speech in Beirut that this was an Israeli attack launched from Lebanon. Last week, IAF chief Amikam Norkin posted a photo of an Israeli F-35 over Beirut. Norkin said the plane had participated in two recent Air Force operations.